all the new pumps type PLP and PHP with new labels using new laser machine. 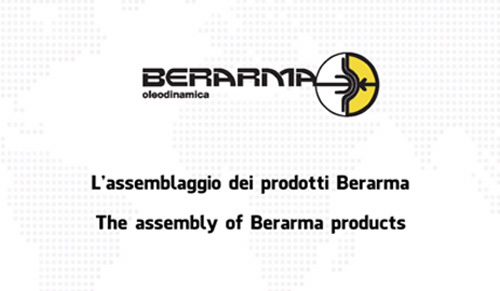 The assembly and production of Berarma pumps is made of many fundamental step: it is thanks to a precise assembly the Berarma hydraulic pumps reach a high level of quality and efficiency. A rigorous internal quality control and process management system, coupled with the use of cutting edge technological tools and strict testing on all components, enable Berarma to ensure a high standard of quality throughout its production of hydraulic pumps. Come and Visit us at Hannover Messe , from 24th to 28th of April , Hall 23 –Stand A32 : You will see our new pumps type PLP and PHP (250 bar). In Berarma we care about the quality of each piece that leaves our warehouses. Each phase of production is followed with passion by a specialist, from design to shipment. Today we will tell you one of the steps we are most proud of: testing. Big news Berarma, we are proud to introduce the new grinding machine. It is specifically a machine for grinding some internal details of our variable displacement vane pumps (rotors and stators) sporting an high-performance and always aiming for perfection in full Berarma style. Find out 7 good reason to choose our new PHP pumps. Berarma is proud to announce the new pump 01-PHP-2-64 coming in the second half of 2017.